Social Simulator gives your team practical, behind-closed-doors experience of handling a crisis situation. 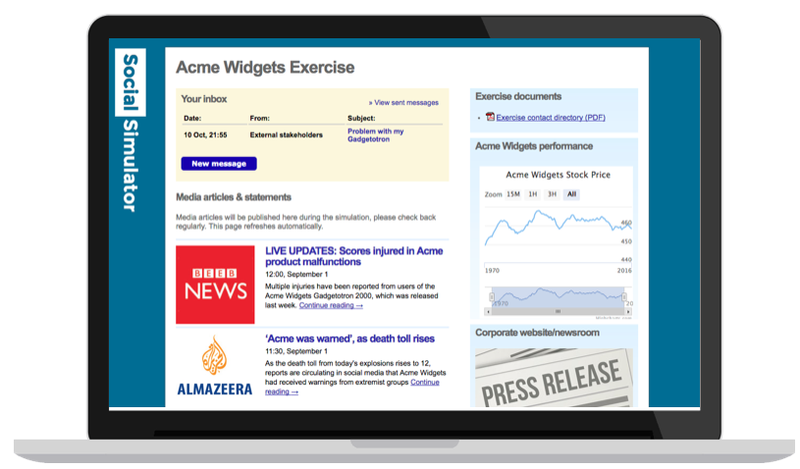 Our cutting-edge software simulates fast-moving social media, stakeholder email and broadcast news coverage – backed up by role-players who simulate the citizen, media and stakeholder reactions as part of a realistic, real time scenario. Over the last seven years, we’ve helped Fortune 500 companies, government agencies, healthcare and educational organizations to prepare for situations from oil spills to cyberattacks, terrorism to product recalls. For experienced teams looking to stress-test their emergency plans and corporate resilience, Social Simulator drills bring a crisis situation to life over a 2+ hour exercise. 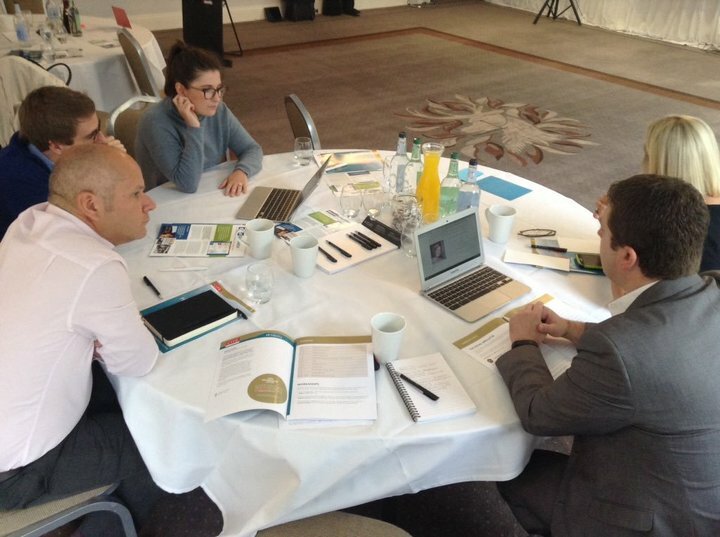 Participants access the platform from their device and are challenged to mobilise, monitor, communicate and engage stakeholders across a range of channels. We work with groups from 10-150 exercise participants, and sessions can take place on-site or remotely across multiple locations. Our crisis training workshops bring scenarios to life and prompt in-depth discussions of handling strategies, message development and engagement tactics. They’re perfect for rolling out a new crisis plan across the organisation, to train a customer service team, or to give awaydays a practical digital element. In teams, participants work through a scenario phase-by-phase, completing tasks and comparing their responses with those of their colleagues. Sessions last 60+ minutes, and can incorporate best practice training or coaching – right up to senior executive level.